Explorers seek for new destinations and some freaking trekkers get a trace for another long arduous journey to a paradise filled with breathtaking scenorama. They bring us more places to explore in India and they give us to frame our own clickorama. The vast stretch of the Himalaya, from the Great Lakes of Kashmir and rugged terrain of Ladakh to the ancient trade routes of Sikkim and Arunachal Pradesh, brings forth the most of unexplored treks in Indian Himalaya. Their experiences once penned in their travel diaries dilate the unique culture of the farthest inhabitants up somewhere confined amid the pristine-scape away from the dust and rowdy firma. 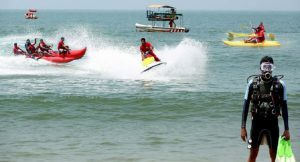 Once in our lifetime such adventure holidays bring upon grandeur to our travelogue. The funniest thing ever what Tenzing Norgay and Edmund Hillary could imagine, if alive, is that the Mount Everest Base Camp is now a tourist destination. LOL! So before you happen to see that the unexplored Indian trekking trails turn out to be frequented tourist destinations… it’s better that you seek to be one of those freaking travellers who sniff tracks and trek up to explore the surreal horizon. 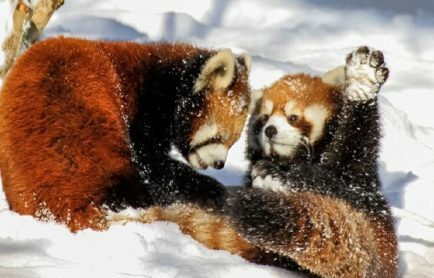 This article will maneuver you to the top 5 unexplored treks in Indian Himalaya region where once you step in you will be in the blasphemy of the holy city life. 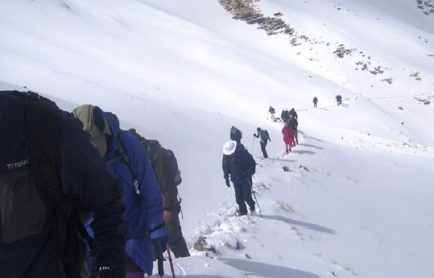 Sometimes dubbed as Little Tibet, Ladakh region offers numerous moderate to strenuous treks. Explorers reaching the unexplored heights of this region have unfolded the relics of many ancient settlements. From the laid back villages of Nubra Valley to the rugged terrain of Zanskar, Ladakh promises an exotic diversion of culture and landscape. The Caravan Yak Trek is a classic journey that will galvanize you to acquaint the cultural vista and beyond. The trek has been designed especially for the adventure freaks who seek to trek beyond destiny. 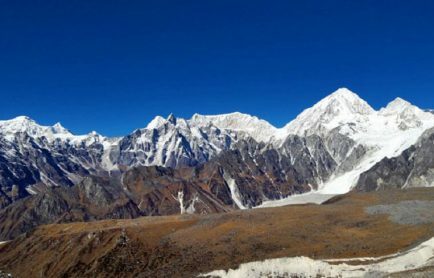 It is one of the unexplored treks in Indian Himalaya that stretches from a mighty height of 3100 mts to 5400 mts and it takes approximately 13 days to cover up. The trekking trail starts from Sumoor en route Nubra Valley and climbs up to Skuru. Nestled at a height of 3100 mts, Skuru is a small village in Nubra Valley that offers spellbinding landscape dotted with wildlife. It also hosts few monasteries where one can dig into the culture of the Indo-Tibetans. Try out tsampa, which is one of the staple foods of the Ladakhis. It is a unique preparation that is made out of roasted flour, usually barley flour and sometimes also wheat flour. Little known… beyond the culturalscape of Skuru lies the Largyab valley en route Patsa-thang. Along the way you are likely to spot varied livestock and animals like horses, kiang, cow, and yaks. It also offers a breathtaking vista of beautiful flowers embellishing the valley. 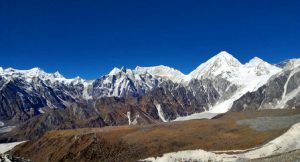 Largyab Valley is confined at a lofty height of 5350 mts and is one of the unexplored trekking destinations in India that has been stepped only by few foreign travellers. Down you cut across to Khatsa Gompa en route Chhu Tangmo, you acquaint once again the cultural ambiance of the Ladakh region. Here you will be admiring the ancient monasteries and local culture. The Caravan Yak Trek also drives you to the serenity of the Nomadic life dwelling in Kharnak. En route Lamayuru to Leh, your first unexplored trekking in Indian Himalaya region ends but you are occupied with the best moments of your life time. Often we try to seek beyond Rohtang Pass, isn’t it? The road drives you en route a twining way to Ladakh. That’s something you want to do once in your lifetime till you surcease with geezerhood. 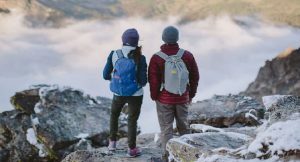 So before you get hold of such time of life, get off the ramp for one of the adventure holidays in India to one of the unexplored treks in Indian Himalaya, the Miyar Valley Trek. 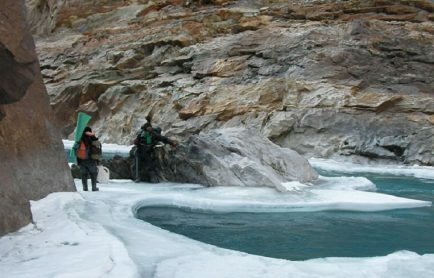 The trek is one of the challenging ones and it takes approximately 15 days to cover up. So life is gonna be hard for you like a nomadic. The trek stretches from an altitude of 3250 mts to 5450 mts and ultimately brings you to a land of tranquility, close to paradise. Breathtaking horizon and rejuvenating vista makes this challenging trek in the Himalayan region an eternal journey for lifetime. After a cup of hot coffee and not to forget to backpack the quixotic moments of Manali, your journey heads towards Udaipur en route Lahaul, which is famous for wood carved Mrikula devi temple. Overlooking the Pir Panjal range the valley has escaped raiders and explorers alike for ages. The trekking trail in the valley further turn to its pristine alpine pastures surrounded by rocky and snow capped mountains and thereafter en route Urgos to Tharang at 3450 mts, following the gentle stream, your trail continues to reach a height of Gumba Nallah. The strenuous climb up to 3900 mts is bound with rugged terrain and plenty of scenic beauty. Further a walk along the lush green meadow and en route the Blue Poppy field (only if you are LUCKY ENOUGH to catch this sight) towards the Zanskar region, an ill-defined trail will take you up to the Miyar Glacier, which is 28 kms long and stretches from Khai at 4200 mts to an altitude of 4750 mtrs. 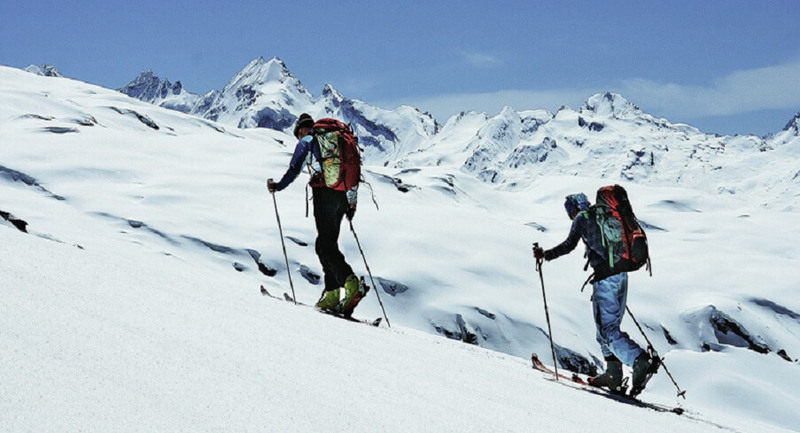 Following the gradual ascent over the smooth black ice your trail now tracks up to an altitude of 5450 mts wherefrom you will get the panoramic view of the vast stretch of the Pir Panjal Range and the Zanskar Valley and also the lofty Mount Menthosa Peak, 6443 mts. Be prepared as to explore this unexplored trekking in Indian Himalaya region you need to camp most of the time close to the glaciers and amidst the wilderness. The trail descents from camp III site to Udaipur and thereafter to Manali. Long and challenging treks to the unexplored trekking destinations in India, Uttarakhand undoubtedly beats all the tracks of Himalaya. Welcome to the divine land of Kumaon and Garhwal where queues up most of the highest peaks of the world. A trekker’s dream and a photographer’s paradise, off the ramp to the unknown heartland, it seems the trekking trails pulsate the travellers to a place of complete bliss and delight and peace… that’s Nirvana! The far-fetched snow clad mountains often pulls in quite a few demented group of trekkers from distant parts of the world. 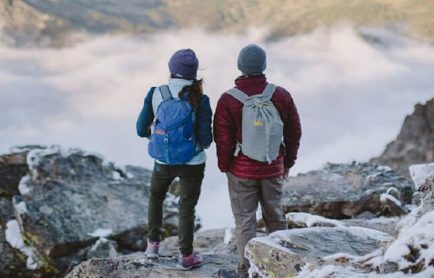 Uttarakhand promise to offer some of the best unexplored treks in Indian Himalaya region and the Malari – Milam Trek is one of the words of every trekker. The trail will lead to a bohemian’s life, as the Malari – Milam Trek is one of the most challenging treks in the Himalayan region. It stretches from an altitude of 2200 mts and climbs up to a mighty height of 4850 mts. The whole trek takes approximately 10 days to a cover a distance of 125 kms. Down from the foothills at Rishikesh, where you can bustle your adventure holiday with some mountain sports and activities like rafting, bungee jumping and more, your drive for the Milam – Malari Trek heads to Joshimath. Acquaint the ethnic culture of the Kumaon and Garhwal region and try out Chainsoo, which is a local preparation made out of black gram (Kali Dal) and Kafuli, a thick gravy dish made from green leafy vegetables. Backpack some dry foods and beverages for the trail. En route Malari, your trail heads up to Lapthal en route Sumna. Thereafter the journey along the Gauri Ganga and Goonkha River is filled with excitement and lots of thrills and offers quixotic alpine meadows and surreal horizon… blue skies and snow clad peaks. You are at Dung. Your steep trail then heads up to a mighty altitude of 4850 mts at Topidunga and there your unexplored trail in Indian Himalaya offers you a rejuvenating sight of the sprawling range. 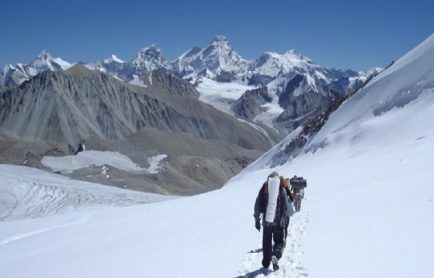 Your trek then descends down to Milam Glacier that is set at an altitude of 4000 mts. Off the ramp from Millam Village the journey then descends to Martoli at 3430 mts. Martoli dwells with a small history. It was once a trade route between Kumaon and Tibet. This village had many houses at one time and now only a few occupied huts remain. The journey deals with great pleasure that will keep you busy with clicks. But don’t slow down. The trek from Bugdiar to Lilam offers vast lush green meadows and shepherd pasture and thereby you will encounter few tranquil hamlets set in the solitude. From this point your trek then heads down to Munsiyari and your trekking trail ends up with some enchanting moments. A dream like trek that acts like a challenging bridge between two Kedar, Madhya Maheshwar and Kedarnath, tucked in the whispers and hues of the Garhwal Himalaya. One of the less trekking trails, the Mandani Valley Trek is a part of each trekker diary and photographer lens. Off the civilization en route the dense to the quixotic green meadows, the trail from Madhya Maheshwar to Kedarnath is one of the unexplored treks in Indian Himalaya. It cross over three high-altitude Passes and is said to be a part of one of the older routes connecting the two shrines. The journey continues for 8 strenuous days and it stretches from an altitude of 2073 mts to a lofty height of 4870 mts. After the blessings of Lord Shiva at the Madmaheshwar Temple your journey starts from a quaint village, Ransi to Sanyara at 2743 mts. The trail scores a steep climb wherefrom you will enchant the breathtaking view of the panorama of Buddha Madhya Maheshwar, Tungnath, and Panwali. Your trail continues en route a steep climb amidst the dense forest and thereafter cut across the rocky terrain to the Dwarakhal Pass and gradually descends to Mandani Bugyal. The strenuous trail offers the magnificent view of the Chaukhamba and other peaks. Mandani Valley Trek, which is one of the unexplored trekking in Indian Himalaya region, is a divine journey, and according to the legend the place beholds the Hindu myth where Goddess Durga killed the demon Mahishasura. Beholding all the myth, the trail continues to head towards Yeonbuk Col at 4663 mts and thereafter a steep climb passing over the snow – covered boulders to Bisali col at 4754 mts. The trail now falls on the biggest challenge when you climb to Mahapanth Col tucked at an altitude of 4602 mts. The descent on the other side is sharp and dangerous over boulders covered in snow. The trek then is successfully completed at Kedarnath and the roadhead is at Gowrikund. Few will wonder… Uttarakhand Tourism has set a beautiful roadway that connects all the four pilgrimage, then why to take such hassle like Mandani Valley Trek? Well, it’s a grapevine to trekkers only… they complete it saying, ‘WOW’. One of the least explored treks in India, the Chenap Lake Trek prosecutes the attention of trekkers from distant parts of the world. Set amid a rich verdure, the Chenap Lake and its surroundings is a dreamlike place where you can camp ideal number of hours. It is yet another unexplored trekking in Indian Himalaya region that can reached from Joshimath. The trek stretches from a mighty height of 2050 mts to an altitude of 4000 mts en route a moderate trail. The journey takes 4 days to complete and offers you to accompany a state of absolute isolation. En route the solitary hamlet of Chai, the trail is blessed with a breathtaking panoramic view of the lofty peaks of the greatest mountain range in the world, the Himalayas. Peaks like Nanda Devi and Nanda Kot are clearly visible on this trek. The Dunagiri peak is another most photogenic peak of the Himalaya is clearly visible on this trail. Off the ramp to the tranquility and harmony of another solitude hamlet, Thai, bestows with green surroundings of the gentle slopes. Up to the shadow of the Chenab Valley, Dharkhark, offers sprawling meadows bedded with varied species of flower. From orchids, poppies and primulas to Brahmakamal, marigold, daisies and anemones and from wide range plants having medicinal use to Rhododendron, Sal and Teak grove carpet the ground. The spotless blue sky provides a mesmerizing ambience for unexplored trekking in Indian Himalaya region and adds to your itinerary 4 days of sprawling hues of the Chenap Valley. The trail also allows you to acquaint the crystal clear waters of the Swanu and Nandu Lake… a natural verdure and cool ambiance that tempts trekkers to camp at the site. Another major attraction is the ancient Rajrajeshwari Mohan Nanda Temple. On your way to Chenap Valley the track also diverts to two other breathtaking points, to the shrine of Badrinath en route the beautiful Khiron Valley and to Kalpeshwar. 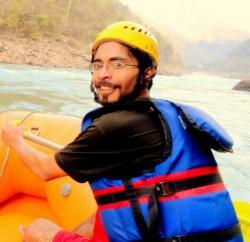 Swairik Das by profession is a travel blogger. He is also an ardent adventurer and covered moderate to challenging treks in the Indian Himalaya. Being a travel freak he also digs out the unexplored treks to pen in his travel diary.